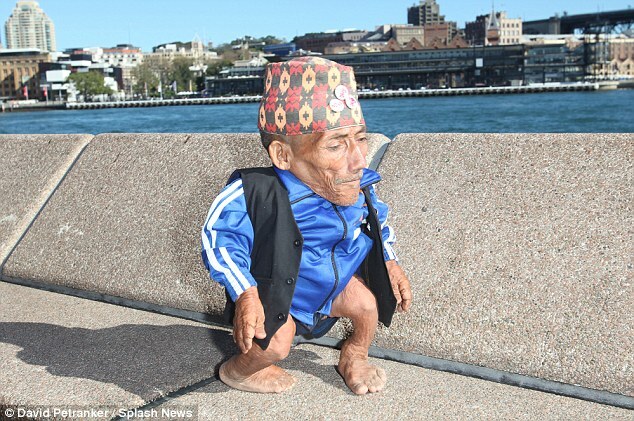 Fitzy and Wippa picked Dangi, the world’s shortest man, up from the airport then took him to his hotel.After a big grin for the boys, Dangi then settled back onto his king size bed that will be his home for the next five days as Fitzy and Wippa show him around Sydney. 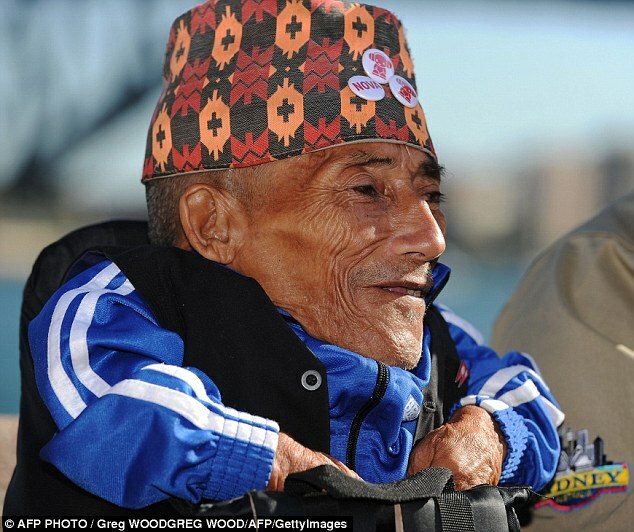 At 72 years, Dangi is the world’s shortest man, and speaks no English. 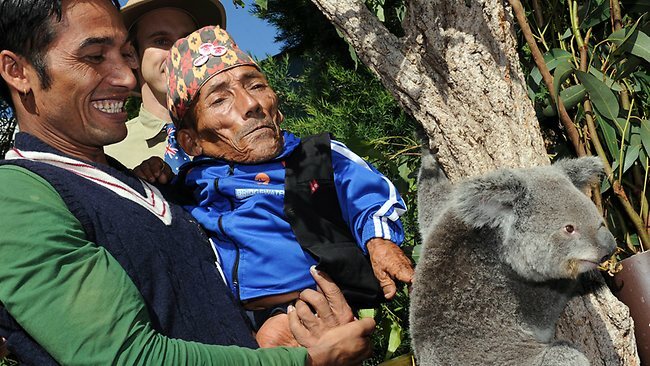 He had never left his remote village in Nepal until he was discovered as the world’s shortest man in February this year. 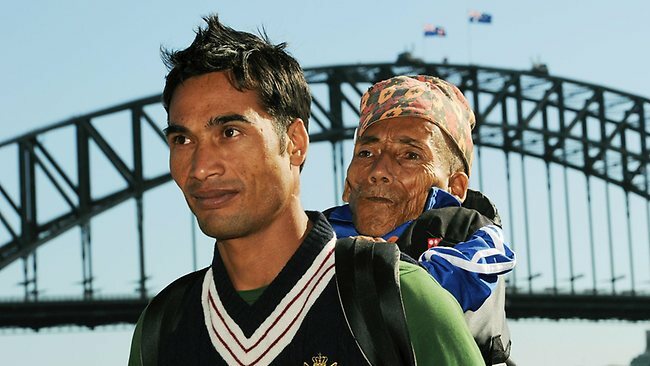 Dangi, the world’s shortest man at 54.6cm, arrived in Sydney Sunday night to a hero’s reception from more than 100 fans, and Monday morning he came into the Nova studio for his first interview live on air. 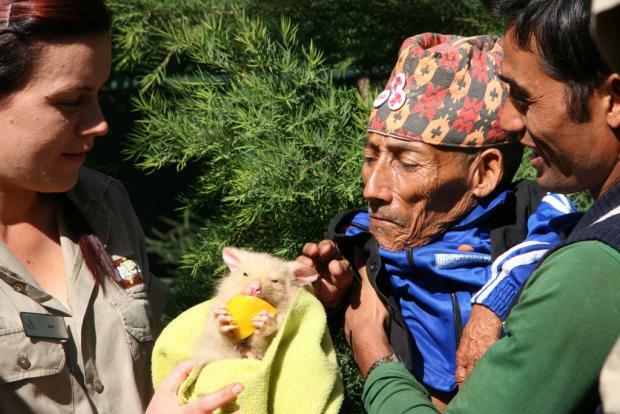 Dangi’s nephew Dolakh helped him up into a special seat in the studio, and Sid Lama was translating. After arriving on Sunday night, Dangi got his first taste of Sydney on Monday, with tour guides Fitzy and Wippa by his side. Dangi’s morning started at the Nova FM studio for his first live radio interview with Nova breakfast hosts Fitzy and Wippa. Then it was on to the iconic Sydney Harbour, where there was a huge contingent of media waiting to speak to him and take his photo. Next was Wild Life Sydney at Darling Harbour, where Dangi (along with nephew Dolakh and friend Sid Lama) got up close to a possum, koalas, kangaroos and even a snake which didn’t please him much! He also had a chat with Melissa Doyle from Channel 7’s Sunrise, so look out for that tomorrow morning. Dangi spent his first day in Australia getting to know our unique animals at Wild Life Sydney in Darling Harbour. He wasn’t too sure about the possum but seemed to be keen to pat the koala and kangaroos. Once he was through all his media commitments that is! 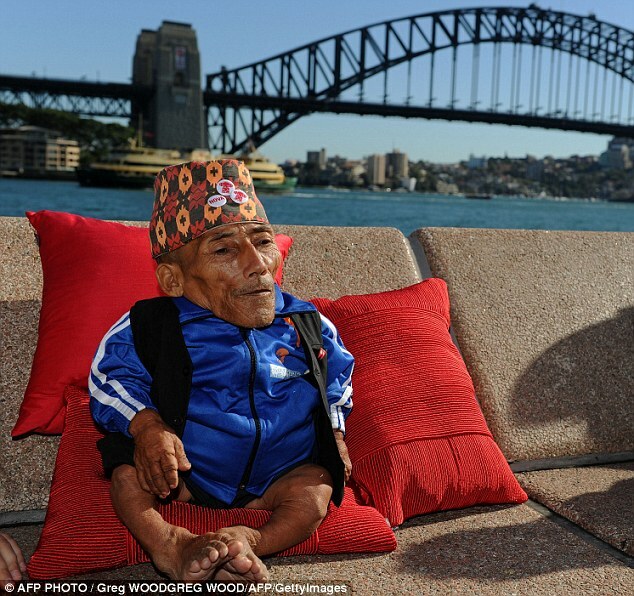 This entry was posted in Australia, Nepal and tagged Chandra Bahadur Dangi, dangi, shortest man, sydney international airport, undefined, world’s shortest man. Bookmark the permalink. Last month I saw a reportage in the Tv about this man.Really interessting story. Thank you for sharing this interesting story! Were you able to see him other than in the media? Unfortunately no :(. They are doing a big public function for Dangi on Friday but I am flying out of the country on that day so I will miss out. I would have love to see him in person but I guess I have to wait for that for now.